One of the major benefits of a DynaCon parts conveyor is that it offers you portability and complete flexibility for configuration and reconfiguration. But there are so many more reasons why DynaCon modular conveyors are the superior choice when looking for a custom conveyor system. 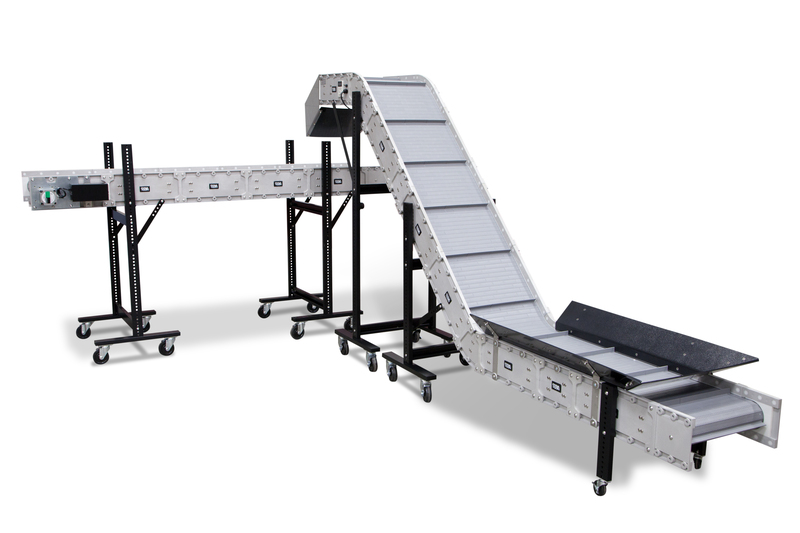 DynaCon belt conveyor systems can be built in a variety of configurations using horizontal, radius turn, angular decline and incline conveyor modules. 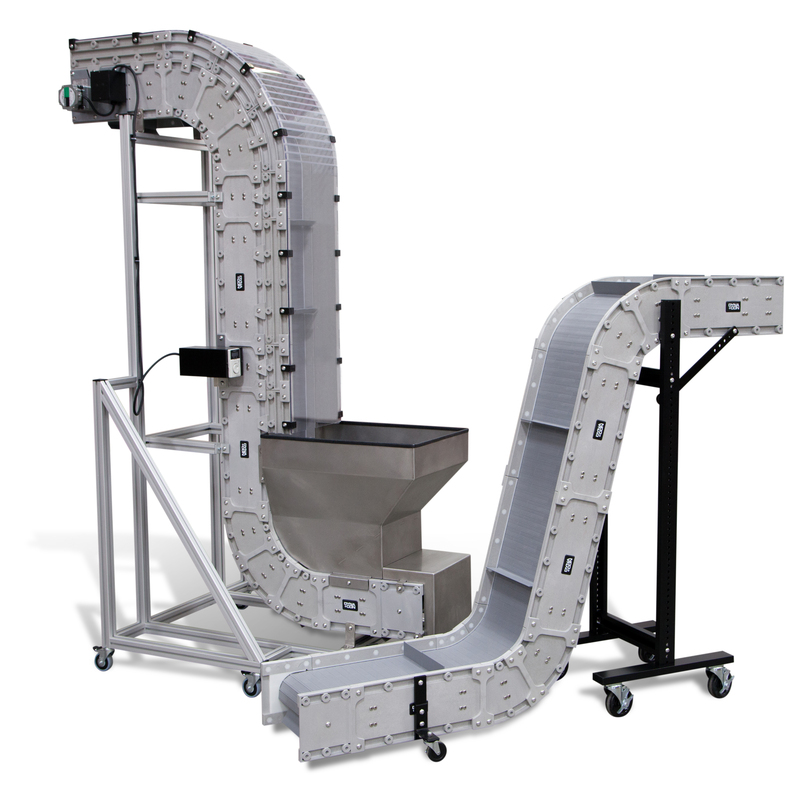 When your needs change, save time and money by simply reconfiguring your existing conveyor modules.